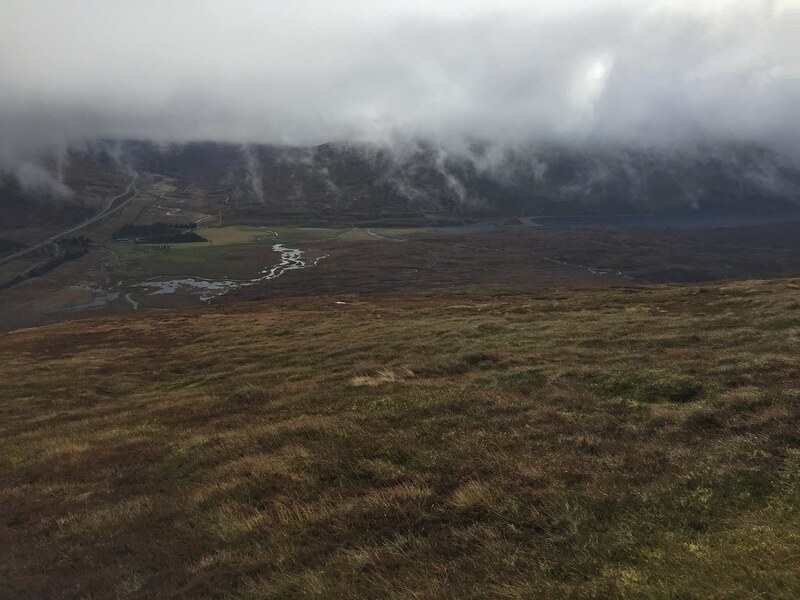 Corbetts: Sow of Atholl, Meall na Leitreach. Time: 6 hours, 40 minutes. Weather: Saturday - windy and showery with some sunshine. Sunday - Drizzly start, improving later on. 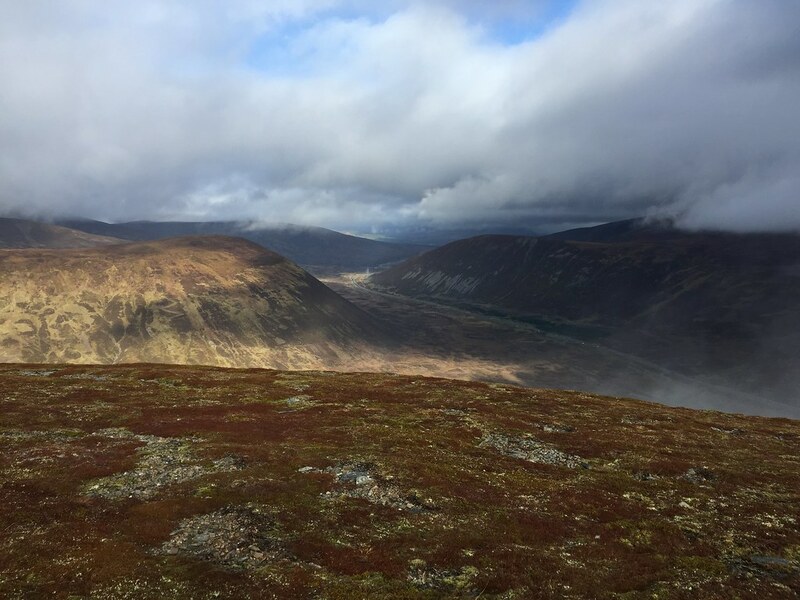 Sow of Atholl: 7.5km, 435m ascent, 1 hour, 55 minutes. 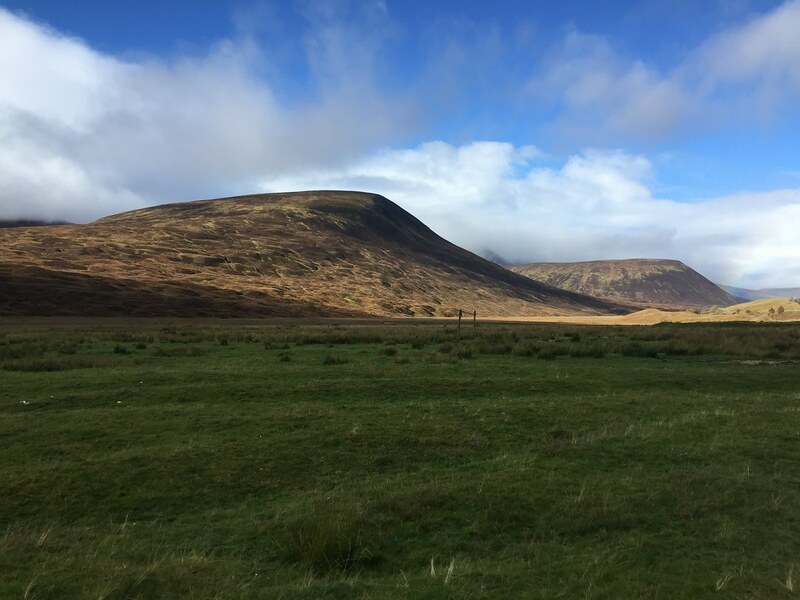 Meall na Leiteach/Duinish: 18km, 580m ascent, 4 hours, 45 minutes. 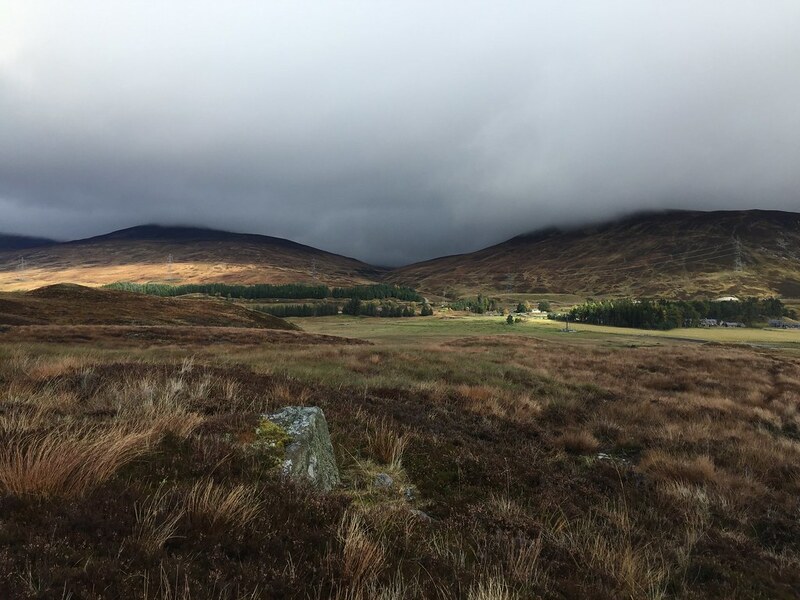 Having stopped overnight at a bothy somewhere on the way from the West Highlands, we opted for some walking in the Dalnaspidal area for the weekend, and a night in Duinish. There may have been better weather even further east, but it wasn't too bad here, and it was conveniently easy for us to both get home from here on Sunday. 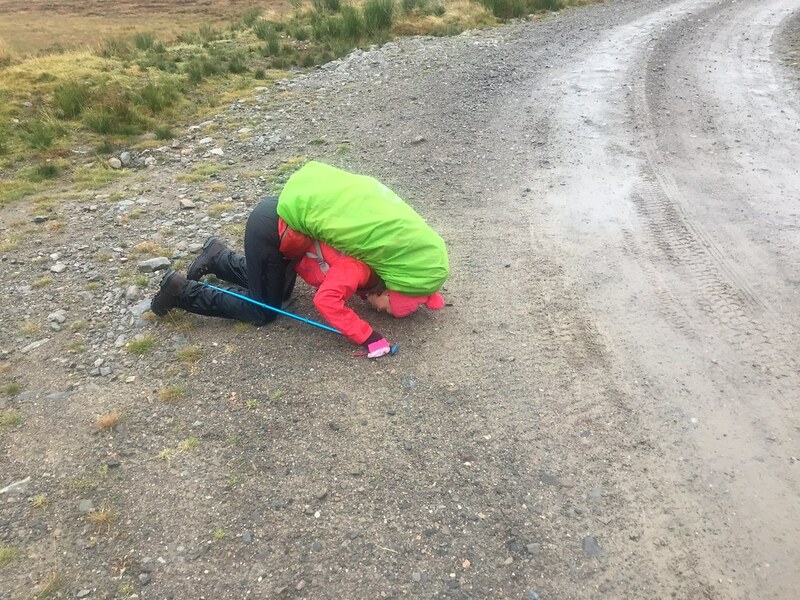 Had the forecast been a bit more predictable, we would have included Sgairneach Mor in a proper circuit of Loch Garry, but given that Sunday didn't look too nice, we decided to have a quick out-and-back onto the Sow of Atholl before walking into Duinish over Meall na Leitreach afterwards. 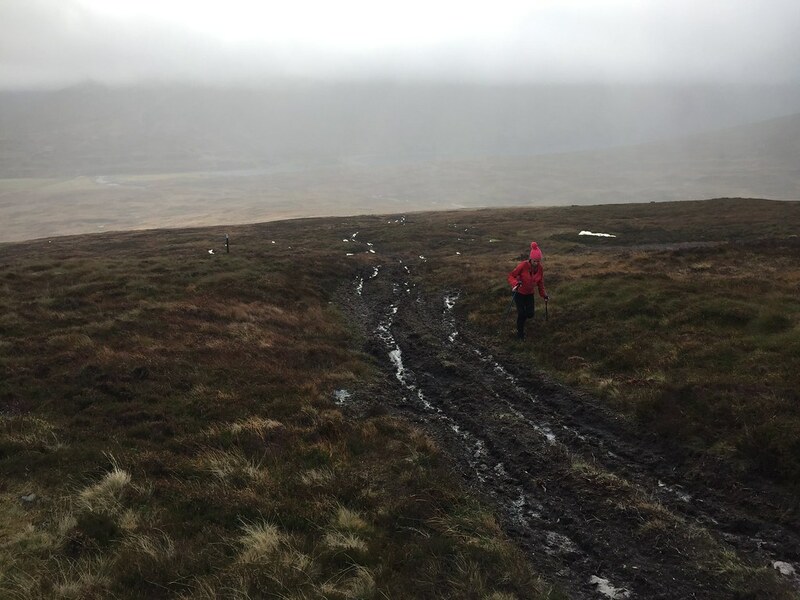 The ascent was short and uneventful - good estate tracks followed by more boggy quad tracks between the grouse butts, then finally easy walking on short turf on the summit plateau. Despite cloud on the way up, the summit cleared to reveal a sunny view through the Drumochter pass. We returned to the cars and swapped our light day bags for overnight bags. 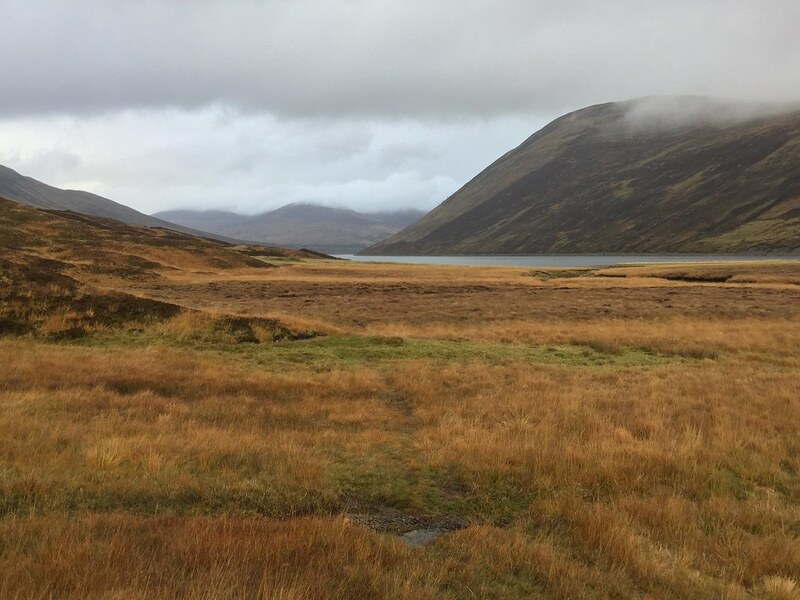 Loch Garry appeared to be on a weather boundary, with poorer weather to the SE, which unfortunately included Meall na Leitreach. 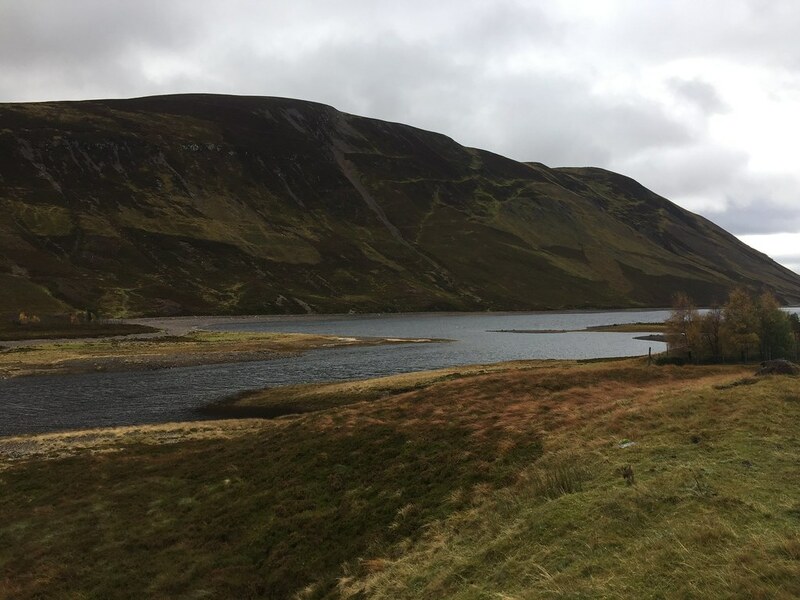 While the Sow had emerged from the clag, Meall na Leitreach hadn't. 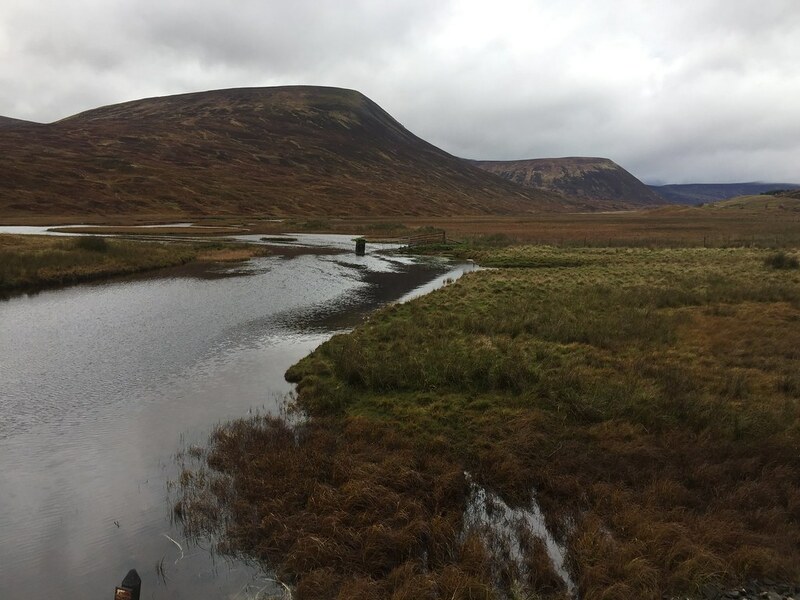 We set out to the mouth of Loch Garry for the second time before crossing over the dam and climbing up the shallow NW corrie of the hill on a muddy quad bike track. On my previous visit, this had been completely frozen and treacherous, but much less dirty. The views back to the north were pleasant, still bathed in sunshine, but the wind was increasing greatly, and we thought it would only get worse on the plateau. 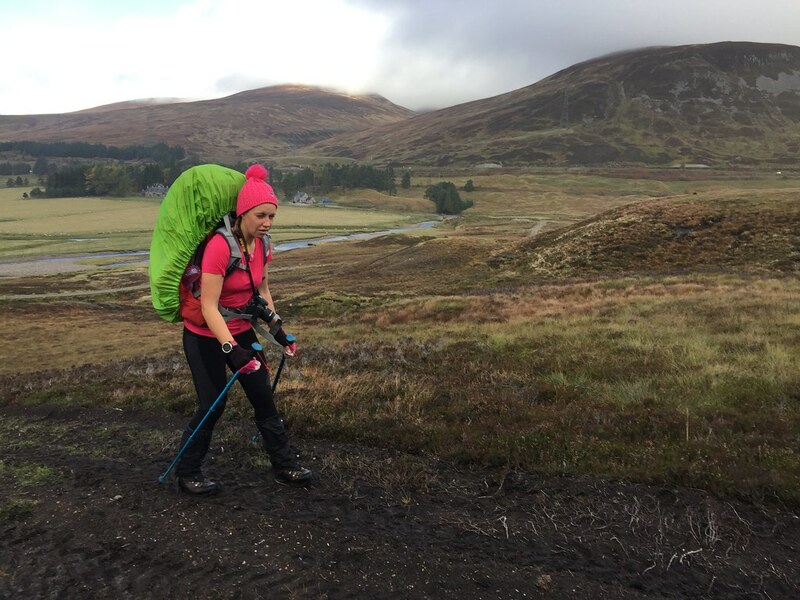 Jackie was less than amused by the ascent - our first with heavy bags really, having slacked our way around various easy to reach bothies in the west. I can't say I was over-enthused by having buckets of rain howled into my face on the plateau either, which is what we were expecting. Actually the plateau was OK. The wind wasn't as bad as on the ascent, and the rain didn't appear until we had passed the summit. No views though. We followed a vague quad bike track beyond the summit, descending towards Loch Meall na Leitreach. In the end, we didn't even see the loch due to the mist, but eventually dropped back into visibility in approximately the right place. The next fun was getting over to the bothy. 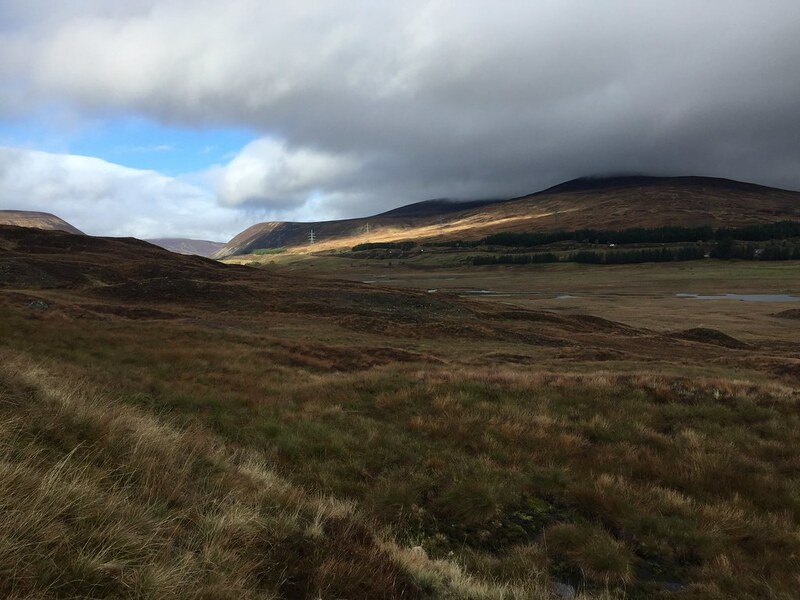 We could avoid the two largest rivers, but the Allt na Cosaig still needed to be crossed. This looked tiny on the map, but was an oozing, slow moving moat of unknown depth. Not very imposing from a distance, but distinctly uncrossable close up. 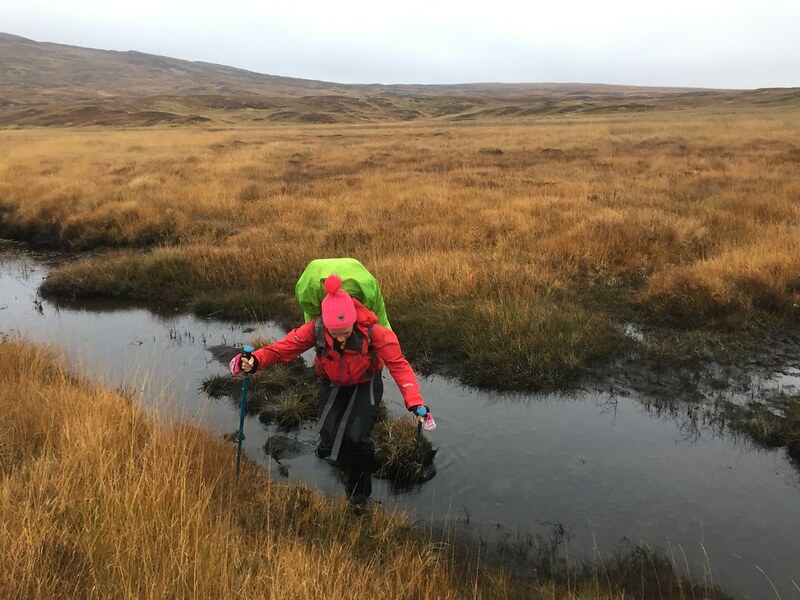 We staggered over tussocks and into holes on the bank, heading upstream to find a crossing place. Eventually somewhere suitable appeared and we were over. 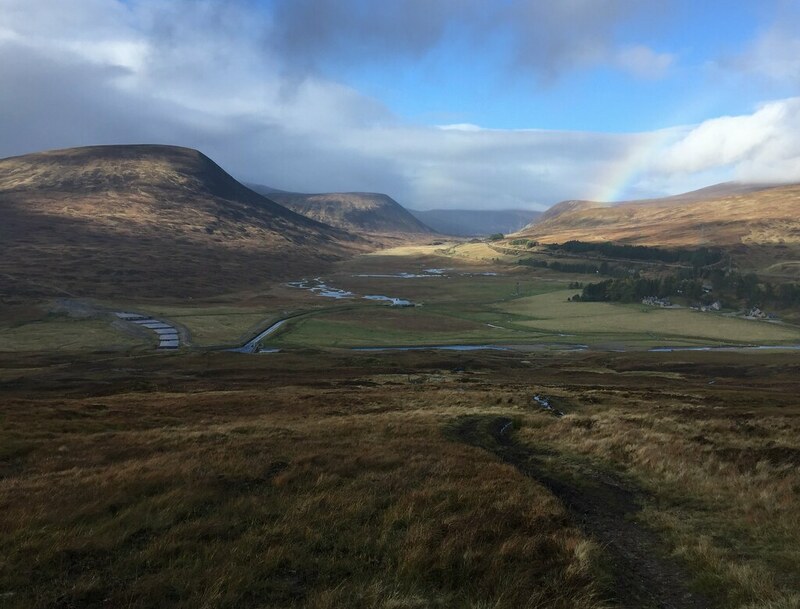 On the far side, there was still a load of wet tussocky floodplain to cross before reaching the good track which led the rest of the way to the bothy. It was quite a relief to finally get onto a good surface! 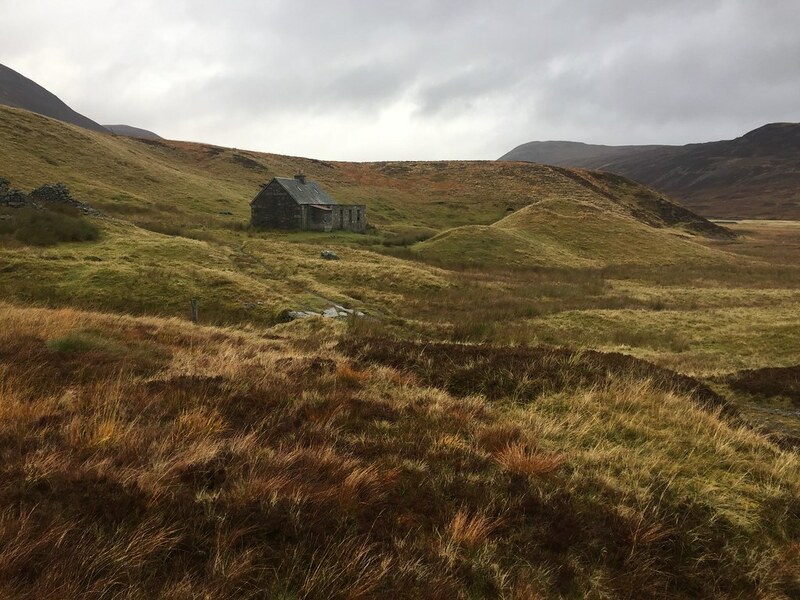 An easy few minutes on the track led to the bothy in daylight - the first time we had managed that in 5 nights . 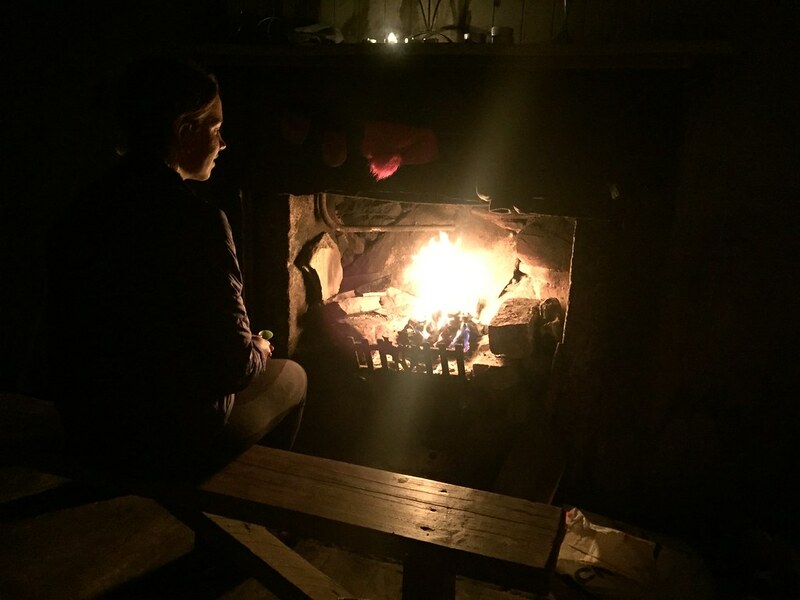 I had carried in just the right amount of the right coal (our previous night's fire had foundered as I only had smokeless fuel for it, and couldn't get it hot enough to start burning ), and we had a great bothy night, gradually warming the place up to a pleasant temperature. Although Duinish is a bit rough and ready, I have now had a couple of good trips there so it will always be regarded fondly by me . The weather was drizzly the next morning, but not the forecast apocalypse, and despite a couple of short heavier showers, it cleared up as we walked out. Perhaps we should have tried to do the proper loch circuit after all! No matter, it was nice to have an easy walk back to the cars and an early start home, leaving the afternoon to sort gear out, wash things and get ready for the coming week of work. Thanks to Jackie for the company on another great make-it-up-on-the-hoof trip away, with a good mixture of old favourites and new places visited. Heck, that's a good old way to be lugging coal - I'm seriously impressed! Lugging a 30kg sac out to Cwm Dulyn nearly killed me, and that's less than half the distance! But then you've done this before - what sins are you seeking to atone for????? 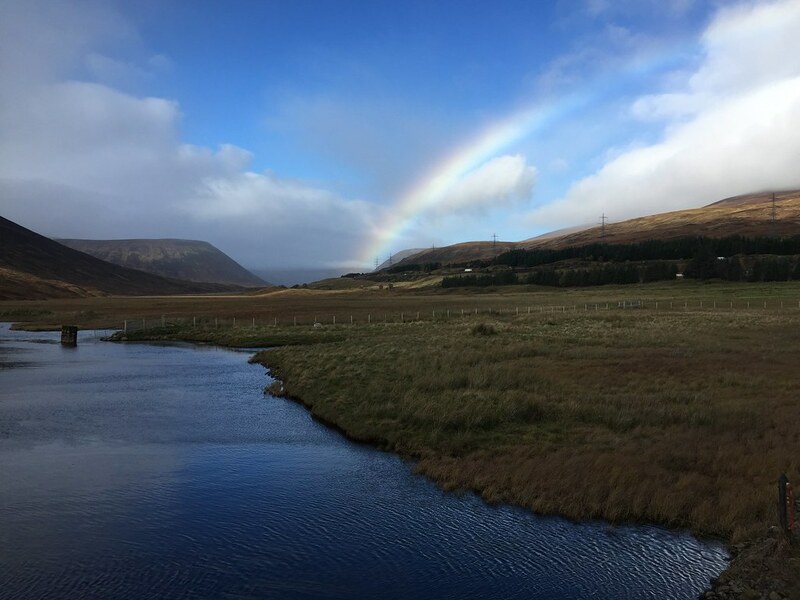 cheers Malky, fantastic pictures, I loved the crossing, and the warming fire afterwards, and the rainbow as the blue skies appeared. Top trip report!